Cooking at home, a quick meal, or a tasty snack, we’ve got a great selection from our family of products for your family. What’s your next kitchen adventure? Get Inspired to Cook with Campbell’s! We have a diverse assortment of soups and chilis for you to try with your family. Whether it’s for you or if you have kids, Campbell offers delicious and fun snacks for the whole family. Check out our salsas, sauces, crackers, and cookies. 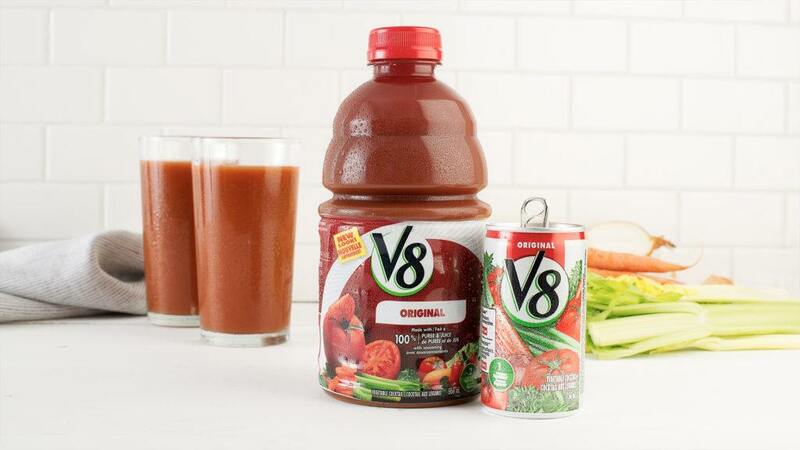 Get a serving of vegetables from our V8® vegetable cocktail, or some energy with our V8 +Energy®! NEW Campbell’s® Roasted Garlic Chicken Broth broth is prepared right here in Canada, using quality ingredients and ALL NATURAL FLAVOURS. 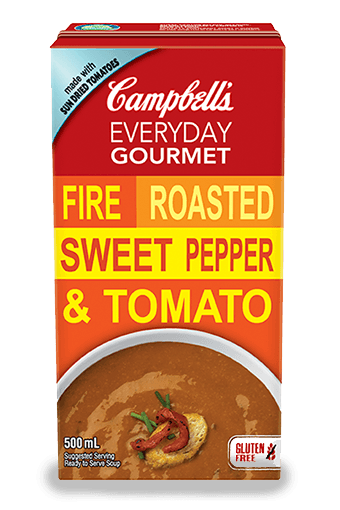 Campbell’s Everyday Gourmet soups deliver a deliciously satisfying taste experience using unique ingredients for bold, inspired flavours. It doesn’t matter whether you have kids or you’re just a kid at heart, you’ll love NEW Goldfish® Flavour Blasted® Slammin’ Sour Cream Onion. A long & delicious past with a healthy & mouth-watering future. Find out what matters the most to us. We know you have questions about the ingredients we use, so here you’ll find information about what goes into our food, how we make it and why.